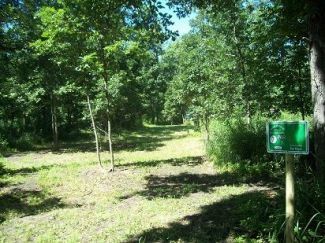 The Oconto Disc Golf Club holds a handicapped league. We offer CTP, Longest Putt and Ace pool buy-ins also. Description: A memorial course put in with the help of the city with the funding coming from the Wittkopf family. This course is a fairly tight course that requires you to hit your lines with a few open holes as well. Located right next to holtwood campground and the Oconto River. Local Directions: US-41 to Oconto. Once in Oconto turn off of US-41 and head west on McDonald St. for .3 miles to a right on Holtwood Way. Take the first right after the parking lot on the right. Follow the road down towards the parking lot for the boat launch. First tee is by the boat launch/rugby fields.